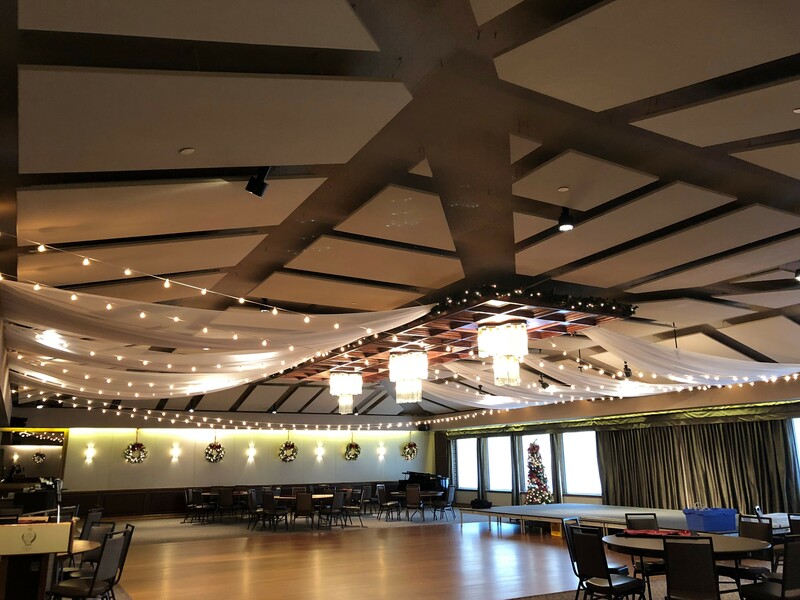 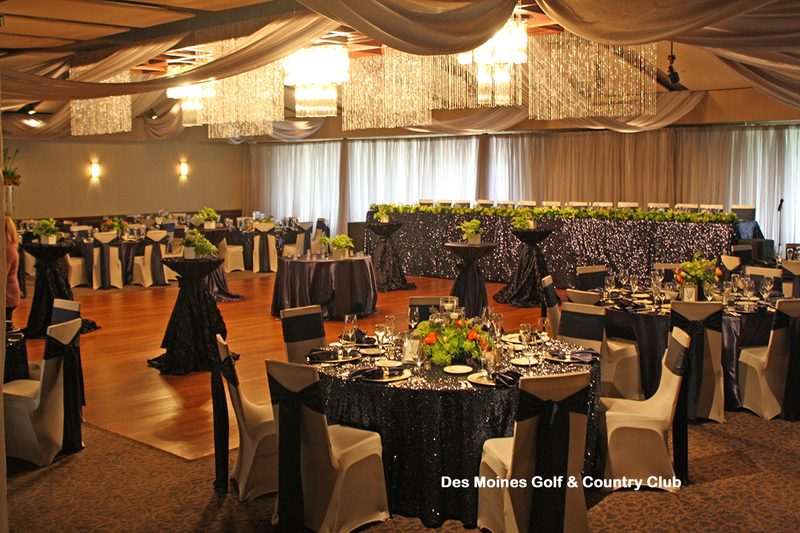 The options are almost unlimited on draping the ceiling from the beautiful wood ceiling light cloud at the Des Moines Golf & Country Club in West Des Moines, Iowa. 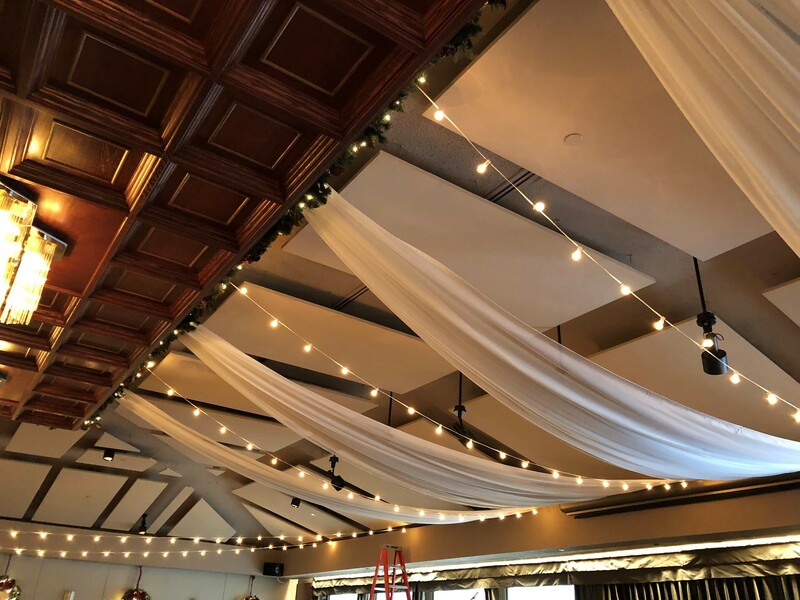 From sheer drapes, to crystal drapes, to italian lights, partial ceiling draping, to full ceiling draping. 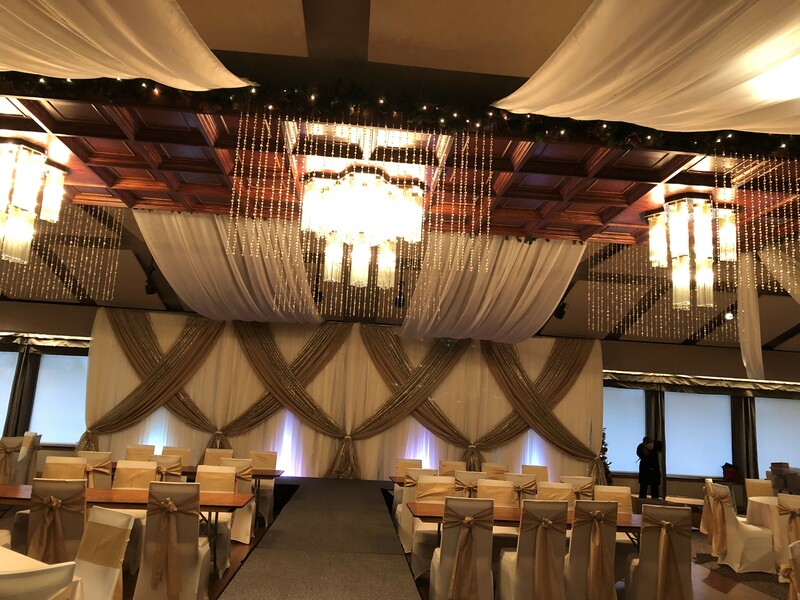 At Beyond Elegance, we can help make your wedding reception your dream come true within your budget. 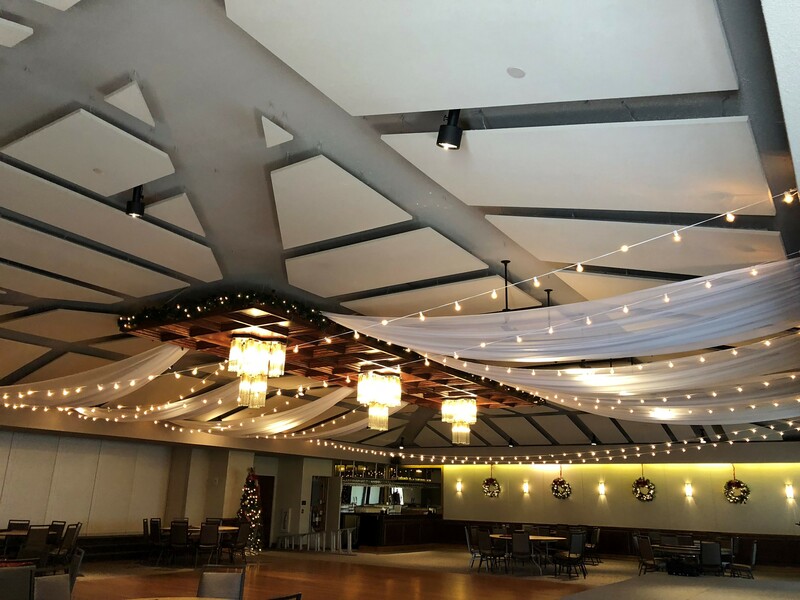 Call today to inquire about the various ceiling draping options and pricing.